3D Systems’ technology is sophisticated, but that doesn’t mean it requires a white lab coat in a space-station setting. Play with it! Experiment! We believe 3D printing will and should be the next sought after technology for the home. 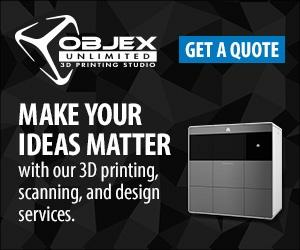 Design and print what you need, when you need it, using intuitive programs or customization apps, or challenge yourself to learn design software and start expressing yourself in 3D. We’re 3D Systems and our goal is to democratize creativity – for all!